Despite announcing that its Rector, Dr. Wilberforce Sefakor Dzisah is on leave, the Ghana Institute of Journalism (GIJ) has advertised the position, calling on qualified persons to apply. 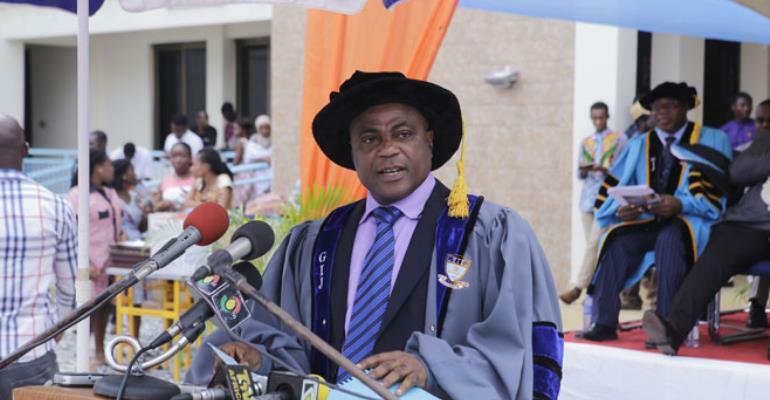 The Rector, according to GIJ, proceeded on a “ voluntary annual leave ” in December 2017, following allegations of infractions in procurement practices and other issues. A four-member committee was subsequently tasked to investigate the issue. Head of Communications Department at the Institute, Dr. Modestus Fosu, was asked to serve as acting rector, whereas the acting Deputy Rector, Ebow Afful, was also asked to return to the classroom to teach and resume his role as head of department. The Registrar of the Institute, Perry K.K OFosu, was also ordered to proceed on leave. While it is unclear whether Dr. Dzisah has been sacked or not, GIJ has advertised three supposed vacant positions up for grabs including Rector, Deputy Rector and Deputy Registrar positions. “GIJ seeks to employ qualified persons with the requisite academic and professional backgrounds in the key administrative positions of Rector, Deputy Rector and Deputy Registrar,” the advert in the Daily Graphic Newspaper on Monday, February, 26, 2018 added. Meanwhile, attempts to get further details on the advertisement have proved futile. Dr. Wilberforce Dzisah was appointed Rector of GIJ in September 2014 succeeding David Newtown, who retired on August 31, 2014. Before his appointment, Dr. Dzisah was the Vice-Rector of the Institute. He also served as the Dean of the Faculty of Communications and Social Science in the Institute. The Economic and Organised Crime Office (EOCO), according to the State newspaper, Daily Graphic in its February 13, 2018 publication, was invited to assist with investigations related to alleged procurement infractions by the management of GIJ under the leadership of Dr. Wilberforce Dzisah as Rector. The newspaper said the Governing Council of GIJ, chaired by Professor Kwasi Ansu-Kyeremeh, invited EOCO to assist in the investigations. According to the Daily Graphic, those mentioned in the letter were Dr. Wilberforce Dzisah, Rector, since 2013, and currently on leave, Dr. Ebo Afful, Acting Vice Rector until January 31, 2018; Perry P.K. Ofosu, Registrar, who is currently on leave; and Akwasi Sekyere Boateng, Procurement Officer who is still at post, and any other member of faculty or staff. The post GIJ advertises on-leave Rector’s position appeared first on Ghana News .